The Hall Cosplay Contest is about craftsmanship—a participant’s ability to recreate a character. Participants do not have to act “in character.” Judges will only be interested in knowing how well the costume is made. They will be looking for items like clean seams and straight hems, wig styling, accessory and prop creation, and the various crafting skills used. Judges may ask questions about how costume parts were made, so the participant should be ready to explain the how, what, and why of their costume construction. This is a separate cosplay event from our Cosplay Fashion Show. All Saturday participants are required to participate in our Fashion Show on Saturday afternoon to show off their handiwork. The Fashion Show is optional, but encouraged for Friday participants. Friday participants should mark on the entry form if they will be participating in the Fashion Show. Any participant who does not follow the rules of the competition, misses line-up times, or does not follow the instructions of Events staff during the event, may be disqualified at the discretion of the Cosplay Manager. 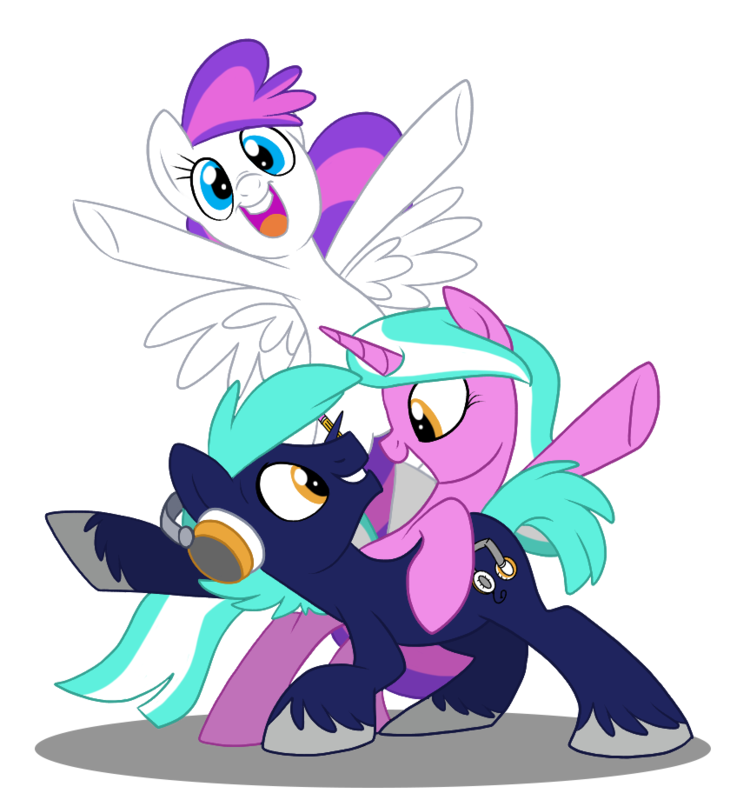 All costumes and props must follow the BronyCon Cosplay & Props Policy. Participants may not enter a costume in the Hall Cosplay Contest that they did not make. It is expected that participants are the primary creator of the costume and make at least 75% of it. Youth participants can be expected to have received help with their costumes, however, the youth participant must have had a hand in its construction. If there are some purchased pieces to your costume, but the majority was created (i.e. You are Fluttershy and you made the dress and wig, but purchased your shoes, wings, and ears.) you may still enter. The purchased items will not count towards your final score. Reference material is required. Even if a character is popular or well-known, reference material is needed in order to judge for accuracy. Lack of reference will greatly affect scoring, as not every judge has knowledge of every detail of every character. Quality printouts of screencaps, official images of characters, and artbook images are acceptable. Please include images that show front, back, and sides to demonstrate details of your costume. Not every character will have such images available, but the more that is shown to the judges, the better they can analyze the costume. For original costumes, references should include the creator’s inspiration, such as sketches, a mood board, fanart, etc. Progress pictures of construction work may also help, but remember that judging time is very limited and the judges do not have the time to look through pages upon pages of reference. Participants may have models to display their costumes. However, the primary creator must be present to explain their work, and only the creator will be eligible for any awards for those costumes. Groups are welcome to be judged together but no more than six (6) participants may be in any given group. Craftsmanship entries are opened to all genres. This includes, but is not limited to MLP, anime, video games, American cartoons, movies, books etc. Original characters (OCs) are NOT permitted in the Hall Cosplay Contest. Just the fashion show. Participants’ costumes must allow them freedom of movement. BronyCon staff may not be able to assist entrants with their costumes. Youth: individual or group consisting primarily of children 13 years of age and under, as well as their parents, guardians, or other individuals deemed appropriate by the Hall Costume Contest Manager. The the designer and the primary constructor of the costume must be 13 years of age or younger, as well as any model, unless otherwise approved by the Hall Costume Contest Coordinator. Parents are required to accompany children 13 years of age and younger during the Hall Costume Contest. Novice: One to Three major Craftsmanship related awards. This does not include judges awards or honorable mentions. Journeyman: Four to Six Craftsmanship awards. This does not include judges awards or honorable mentions. Craftsman: More than Six Craftsmanship awards. This does not include judges awards or honorable mentions. If entering in a group - each entry’s appropriate category is determined by the highest ranked division member of their group. For example: a group containing 1 Novice, 3 Journeyman, and 1 Master, will be required to participate at the Master level. For Division Placement Purposes: Awards of ranking, including but not limited to “Best in Show,” “Best in Division,” “Best Performance or Craftsmanship,” or “First Place,” “Second Place,” etc. in any type of cosplay competition are considered Major cosplay awards. “Honorable Mentions,” “Judges’ Awards,” and similar forms of recognition are not considered Major Awards. Participants may be bumped to a higher division at the Judges’ discretion. A competitor may choose to compete in a division higher than the one they are eligible to enter. However, if the competitor receives an award in this higher division, they must continue to compete in that division (or higher) in future competitions. If you are new to the world of hall cosplay contests, this section is here to help you understand how the process will work. All contestants are expected to check in at our Judging Room with a member of staff. Here, you will confirm your judging time slot and receive important information about the contest and Fashion Show. Check-in and on-site sign ups will take place here. We will have very limited slots available on-site. Failure to check in during the Friday and Saturday time block will result in disqualification. You will receive a small ribbon for your badge. This will have your judging time on it as well as your call time for the Fashion Show. These two things will gain you access to the staging area for the event. Please arrive 15 minutes before your scheduled judging time. If we are running ahead of schedule, we will gladly take you early. If you arrive late, you will be pushed to the end of the judging list. We do not tolerate lateness as we are on a schedule. When you enter the judging room, you will be met with our on-site photographer. They will take a photo of your costume along with your entry number. This is to help with reference for the the judging process later on. These photos will also be used during our awards ceremony during the Saturday Fashion Show. You will have 5 minutes to present your costume. Please have all reference materials prepared to show our judges. This is your time to shine, so you better work it! Helpful Hint It is always a good idea to start from the top and work your way down when speaking about your costume. This way, you can go over every piece and not forget anything. And if there is a part of your costume you are particularly proud of, always mention it. When your 5 minutes are up, the judges will take an additional few minutes to inspect your costume up close. They will be looking at your seaming and construction, and if they have any questions, they will ask you during this time. Please remember to be honest with the judges. If you did not make something on your costume, tell them. It will not hurt your score, and they prefer that you be honest with them. Helpful Hint Remember that judges are just cosplayers like yourself. It is perfectly natural to be nervous, but every single one of them have been in your shoes and know how it feels. If you are nervous, tell them. We promise that they don’t bite… much. Before leaving, you will see one of our staff members for instructions on the Fashion Show call times and locations. We hope to have this information available prior to the convention, but things are subject to change. Until the call time for the Fashion Show, you are free to enjoy the convention! Make sure you get something to eat and drink plenty of water! Please arrive 15 minutes prior to the call time. If you are on-time, you are late. You must have that ribbon on your badge to gain access to the staging area. If you are entered, but your friends are not, they must go and get in line to watch the contest. Besides who doesn’t love a cheering section? If the contestant is the age of 13 or younger, they must be accompanied by an adult at all times. In the staging area, you will be given instructions on how the show will run. We ask that when a member of the BronyCon staff is speaking, you listen carefully to what they have to say. The hall contestants will have their own special category for the Fashion Show. So we ask that you just relax and enjoy the time before you go on stage.